What is "Tensile Test Strength" ? Our 2.5mm Spectra®¹ braid is the ideal reel line for shallower water or around structure where strength trumps line capacity. This 750lb line is sized to fill most speargun reels to approximately 50% of the nominal capacity lengthwise. It is a versatile line for conventional speargun line rigs. Strong enough for any size fish, tough enough for most structure and light enough to preserve range. ¹Spectra® is a trademark of Honeywell International a U.S. corporation. 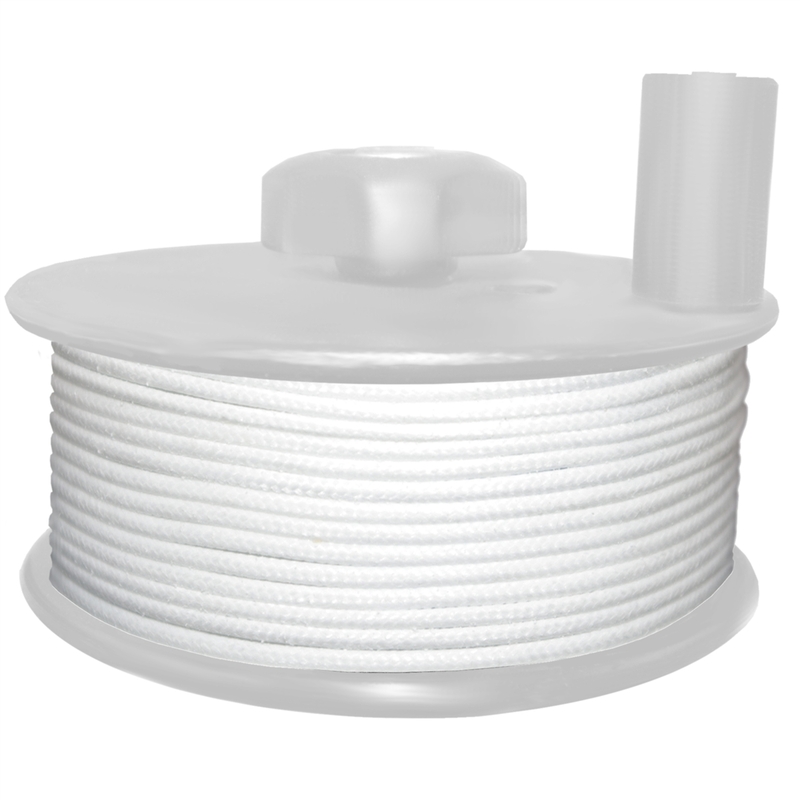 100% of the fiber contained in our braided Spectra® cords is genuine Spectra® manufactured in America by Honeywell. All additional processing of the Spectra fiber is performed by Spearit Group LLC and its subcontractors excluding Honeywell. Warning -This cord is not intended or tested for climbing or hoisting. Tensile testing is done under ideal conditions. Common practices and factors will significantly degrade the strength of this product including but not limited to, knotting, environmental exposure and normal wear and tear. General Compatibility - This item can be used with some products of Riffe®, Wong®, Mako®, Koah®, Hammerhead®, C4®, Salvimar®, Spetton®, Rob Allen®, JBL®, Cressi®, Picasso®, Beauchat®, Biller®, Ocean Rhino®, Spearfishing Specialties®, Sea Hornet®, Omer®, Demka®, Bandito®, and more. Spearit Group LLC unaffiliated with these manufacturers. Copyright © 2014 Spearit Group LLC. All Rights Reserved. Built with Volusion.